-OZ- was created in October 2004 by a fusion between two bands: Natsuki and Aki from Scare Crow plus Tama and Nao from Gypsy. Zukki, who at the time was the drummer in Usagi, later joined. Two months later, they started performing at small live houses mainly in Tokyo. Their first maxi-singles were released in July and September 2005. Each single had a different title from the main song. All following CDs would also be named in this pattern. The famous label Loop Ash spotted them in 2006 and this new partnership made possible the release of Eve’s apple and Adam’s apple at the end of the year. In addition, the song CRY the crime was a gift in the magazine SHOXX’s December issue. Since then, -OZ- has gained more popularity and though their rise was slow, they didn’t give up. Their first mini-album SIX was released in May 2007 and was followed by a new maxi titled elf that came out at the end of October. To the delight of their fans, -OZ- played their first one-man in Niigata and Tokyo on December 21st and 28th. 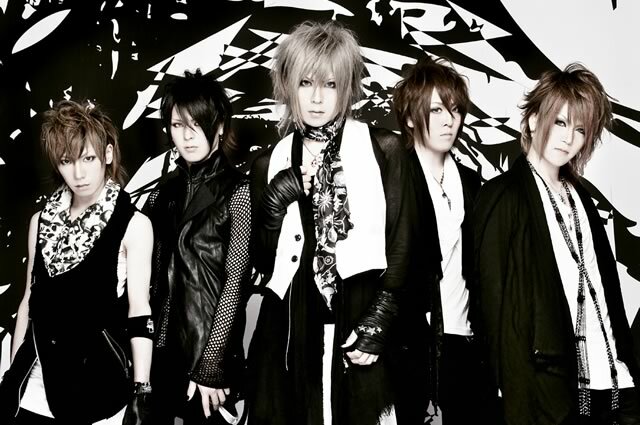 In following years they became a fixture at Stylish Wave events along with bands such as SCREW, SUG and D=OUT. The year 2008 saw the release of several maxi-singles which met a lot of success. Bulk, for instance, reached 11th on the Oricon Indies single chart and Spiral reached 12th. The next year, their maxi-single VENOM which came out in March, reached sixth and the next month DETOX hit fifth place. It was in September that year when the group finally released their first full album, VERSUS. The following single, wisteria, which was the band’s first 2010 release, reached sixth on the charts. The tireless band is contributing to a single coming out on June 30th, called LOOP OF LIFE X, which celebrates LOOP ASH’s tenth anniversary. It seems they’re only improving with age, so we look forward to seeing more of them in the future.